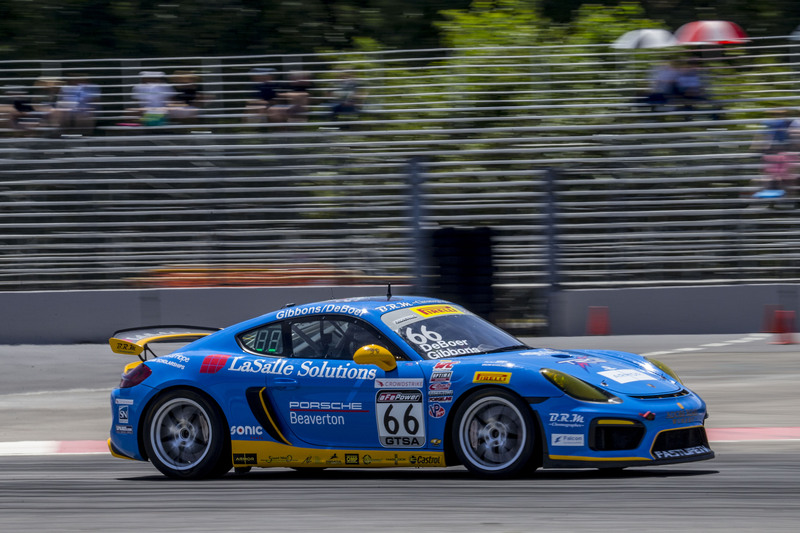 TRG fielded this Cayman ClubSport for the 2018 Pirelli World Challenge. Our team spirit of competing as the underdog private team attracted us to the underdog Porsche. The Cayman ClubSport is the racing version of the very successful Cayman GT4 street car. This Cayman GT4 ClubSport was privileged to receive a rare Manthey-Racing EVO kit. This kit lowers the weight an additional 150lbs to a staggering 2800lbs by integrating many plastic parts into one solid Carbon Fiber piece. The kit includes HID projector headlamps, carbon fiber fenders, carbon fiber bumpers, and an adjustable bladed rear swaybar. We fielded our ClubSport Evo at a Long Beach Invitational under the guidance of a long-time TRG favored driver Spencer Pumpelly. Spencer battled hard taking 3rd in our class. The car then competed in the 2018 Pirelli World Challenge driven by Derek DeBoer and Sean Gibbons. We finished the year with the California 8 Hour at Laguna Seca securing the 2nd place in class. The car is receiving a post-race service including transmission fluid and oil change. The car also received a new PDK gearbox in August that has only two races on it.